Google CEO Sundar Pichai announced today at Google’s I/O developer conference that Google Assistant is now available on over 100 million Android devices. Google Assistant was first made available last fall on Google Home and Pixel smartphones and in late February started rolling out to other Android devices. The 100 million mark is a large number that dwarfs the number of Amazon Alexa users, but only reflects 5% of worldwide Android smartphone users and is less than Microsoft’s claim of 145 million monthly active Cortana users. I believe the term used was Google Assistant was “available” and didn’t indicate a claim of that they were monthly active users. Google has big reach but that doesn’t necessarily indicate active usage. Metrics for other services such as YouTube and Google Photos clearly stated total and monthly active user numbers. Google has many assets to leverage in competing for consumer adoption of its AI-backed voice assistant. The large Android install base is one clear example. Another is the company’s language translation tools that no doubt are accelerating the market launches for Google Home in at least five new languages this year. What was clear during the Google I/O presentations was that Google is doing everything at a large scale. If company leaders are concerned about catching up with Amazon Alexa’s early marketshare lead, the presentations didn’t give much hint of concern. The company’s vast product array overwhelmed the noted feature upgrades for Google Assistant. The one exception may have been the announcement of Google’s calling feature. Calling was demonstrated on stage, but it was not clear if we were witnessing a live demo or a canned demo. 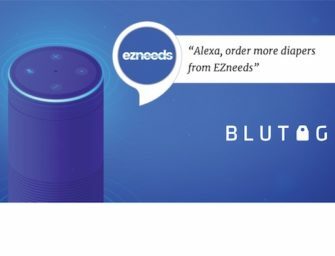 Indications were than the solution appears to months away from going live and the demo was a way to keep people from focusing on the fact that Amazon has the feature for Echo owners today. Then again, Amazon talks in terms of millions or maybe 10s of million whereby Google casually throws around metrics of hundreds of millions and billions. Amazon has an early lead, but if Google can execute effectively it will be a substantial rival to Amazon and may leave Alexa playing catchup in a number of markets. The voice assistant wars just heated up again.